My kids started playing organized sports when we signed them up for tee-ball at the age of four. Since then they’ve participated in a variety of rec programs and after school clinics. However, I didn’t really earned the title of Sports Mom until this past year. 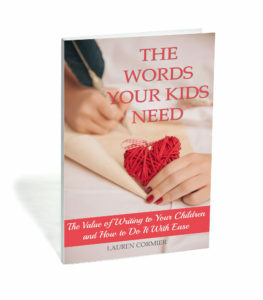 Between April and September my younger son played on two baseball teams, my older son played on four baseball teams, and we spent almost every weekend at games and tournaments. As tiring as it was and as much as I was thrilled to finally get a break in October, I have to admit that I kind of loved it. I’m still early in my sports mom journey, but I’ve already learned a thing or two. There are some things that make game days miserable (like rain; rain always makes game days miserable) and there are some things that make game days awesome. 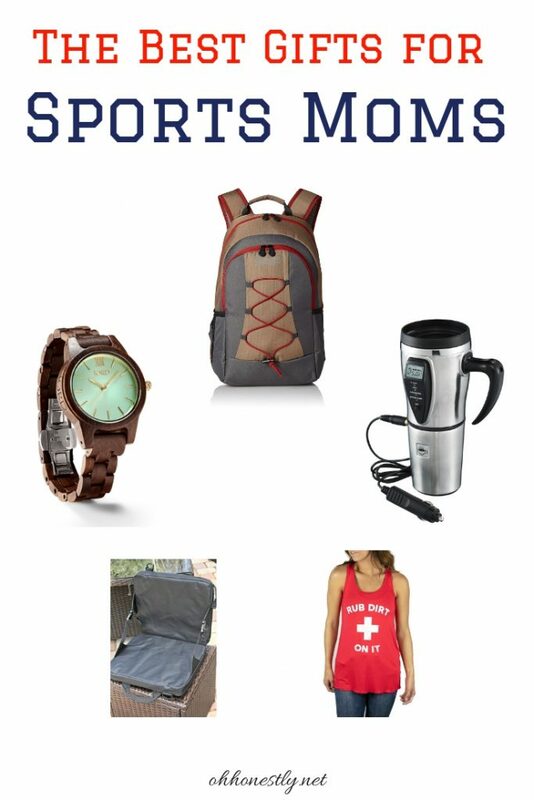 If you’re a sports mom or you have one in your life, these gift ideas will make game days rock. They’re perfect for holidays, birthdays, Mother’s Day, or any occasion. This post was written in partnership with Jord and Hammacher Schlemmer. It also contains affiliate links. As an Amazon Associate I earn from qualifying purchases. If you’re anything like my family, you’re pretty much late for everything. The one time you think you’ll get out the door on time, your kid suddenly can’t find a vital piece of gear you told him to get together the night before. While a watch won’t make you magically on time, at least it’s right there on your wrist to remind you to hustle. Plus, if your kids are like mine, they beg to play with your phone before their sibling’s game even starts, leaving you clock-less and wondering how much longer until you have to dash off to make it to your other kid’s game on time. 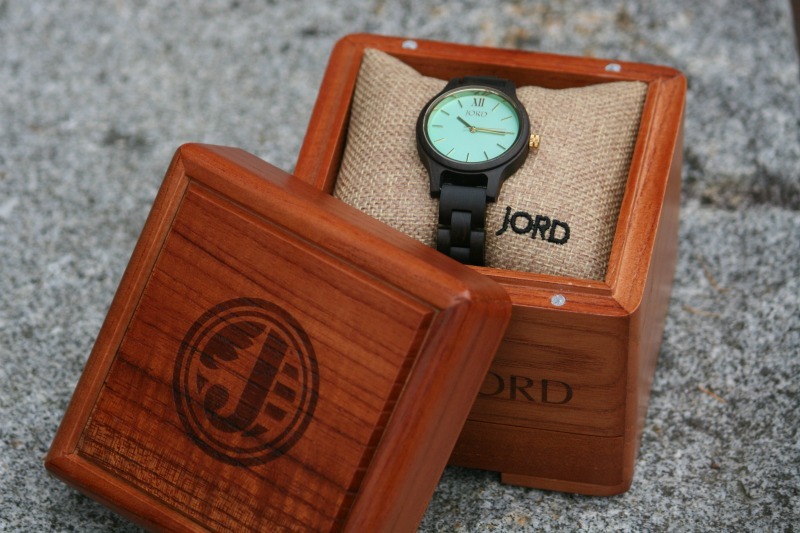 Jord (pronounced Yode) makes wooden watches that are the perfect blend of beauty and simplicity. I don’t want a bunch of bells and whistles on my watch. I don’t want something that starts beeping at me and won’t shut up because I didn’t read the 80 page owner’s manual to figure out how to turn it off. I want something that tells me what time it is and is pretty. My Jord watch does just that. If you’re more high tech, they’ve also got wood bands for your Apple watch. The watches can also be engraved, so they make an awesome gift. Plus they come in a beautiful (also engraveable) wood box. 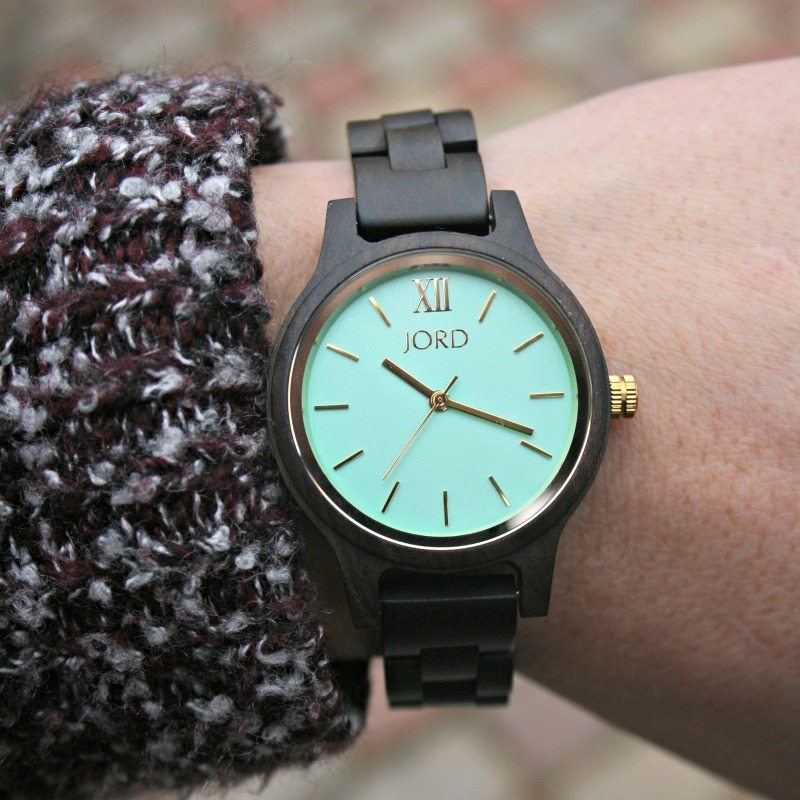 Want to win $100 off any Jord watch? Just click here to enter the giveaway. No matter what sports your kids play, you know the pain of sitting on a hard metal bleacher for hours on end. But when you live in a place that gets below freezing during soccer season or still has snow on the ground for opening day of baseball, or if you’re a hockey mom anywhere in the world, you also know the pain of sitting on a hard COLD metal bleacher. 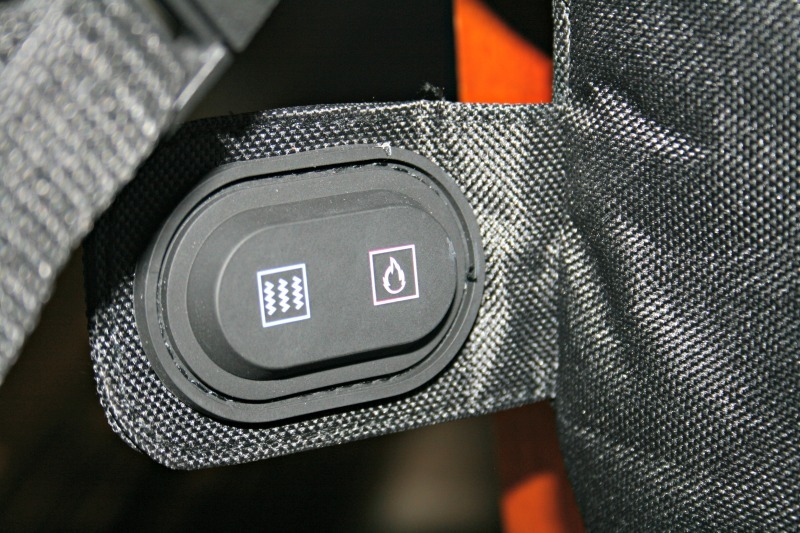 Enter the Hammacher Schlemmer Rechargeable Heated Massaging Stadium Seat. This thing is awesome. It’s a cushion, it has a backrest, it warms your back and tush, and it even has a massage setting. It’s the king of bleacher seats. You might even start looking forward to the cold weather games. Well, probably not, but at least they’ll be bearable. I’m giving one of these bad boys away. Just enter the giveaway at the bottom of the post for a chance to win! Moms might be used to drinking cold coffee, but that doesn’t mean we like it. If you have to be up at the crack of dawn, you need coffee and you need it piping hot, even if you don’t get to finish drinking it until an hour into the game. This mug lets that happen. Plug it in when you get in the car and it’ll keep your coffee piping hot. Even if your cup of joe completely cools down, you can plug it in and it’ll heat it back up for you in about half an hour. 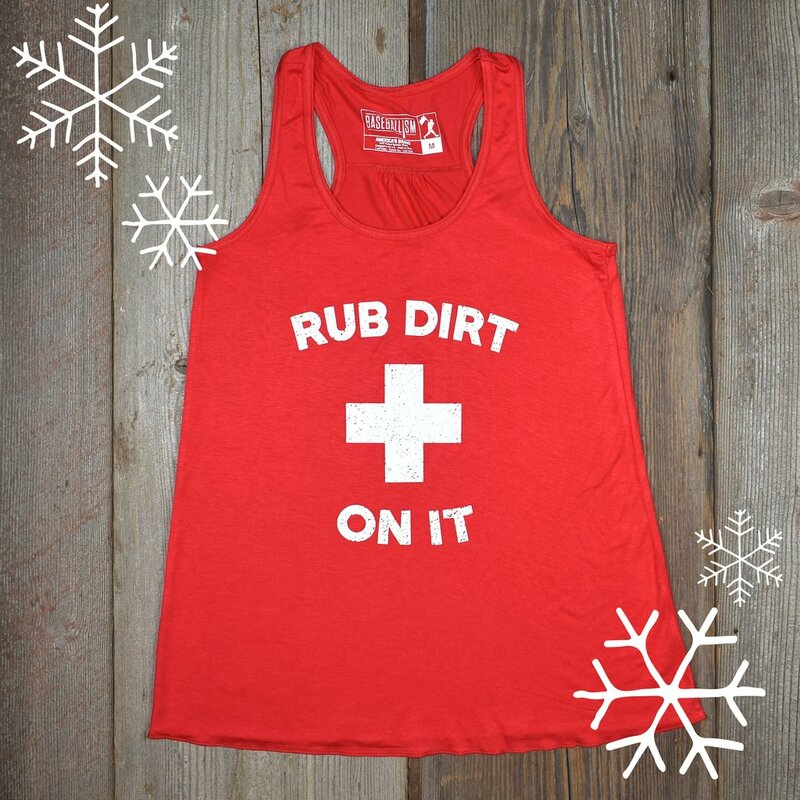 I had a hard time deciding what shirt to feature in this gift guide because Baseballism has so many good ones (there’s one with a Sandlot reference that I was really tempted by), but “rub dirt on it” is a phrase I hear often from my son’s baseball coaches, and it really does seem to magically cure all injuries. Regardless of what item you choose, I know you’ll love it because everything Baseballism makes is top quality. Their shirts are super soft. Their leather tote is to die for (I get compliments on mine all the time). Whatever you get, you’re gonna love it. When you know you’re going to spend the entire day at the field, rink, or court, it’s wise to bring snacks. But with all the other crap you have to carry, hauling a cooler around isn’t always in the cards. 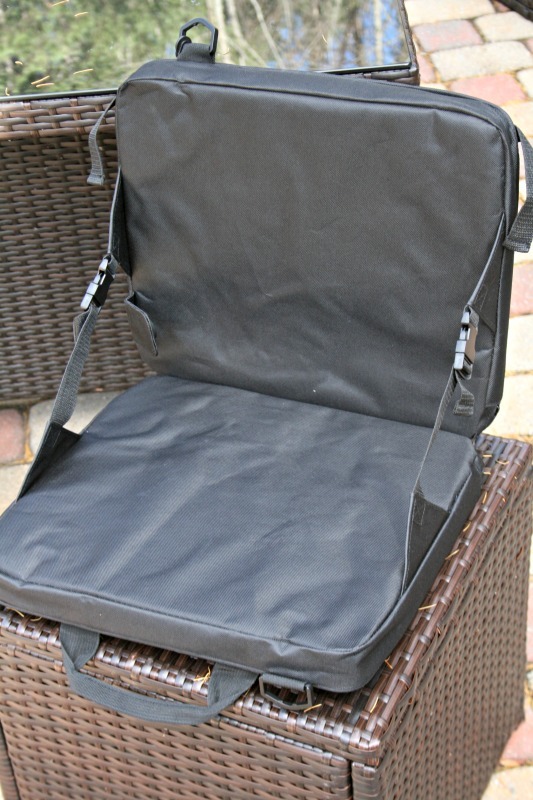 That’s why this backpack cooler is the perfect solution. It’s hands-free and won’t fall off your shoulder as you climb the bleachers. Plus, it has enough space to fit in some other essentials, like sunscreen, your wallet, or a book to read in between games. Treat the mom in your life (or treat yourself!) to something that will make all those long game days as awesome as possible. Go team! TO WIN THE HEATED SEAT AND ‘RUB DIRT ON IT’ TANK, ENTER BELOW. TO WIN $100 OFF THE WATCH ENTER AT THIS LINK.